All Dorothy Perkins wants is to have a good time. She’s wild about dancing and can’t understand or accept her father’s strictness in forbidding it. Night after night she sneaks out to the Lost Lake House, a glamorous island nightclub rumored to be the front for more than just music and dancing…in spite of an increasingly uneasy feeling that she may be getting into something more than she can handle. 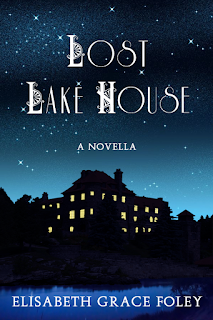 Lost Lake House is available in ebook format on Amazon, Barnes & Noble, and Smashwords! Add it to your shelves on Goodreads, and check out Elisabeth's website, The Second Sentence, where she blogs about reading, writing, and history.